Updated Wednesday December 5, 2018 by Brian Boisson. Tis the season and Salvy The Florist is all stocked up with your favorite Holiday Decorations including our beautiful Christmas Trees! 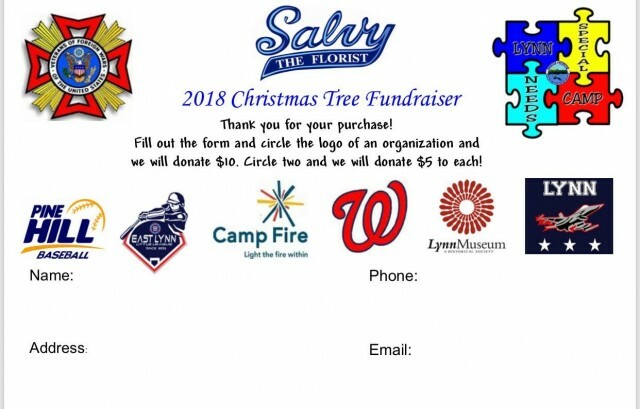 Don't forget, as with years past, every Christmas Tree purchased is a chance for you to give back to a great local organization in your community! Free delivery and Stand Strait Christmas Tree Stand are Available! Click the link below to reserve your tree online! Happy Holidays and looking forward to seeing you at The Greenhouse!